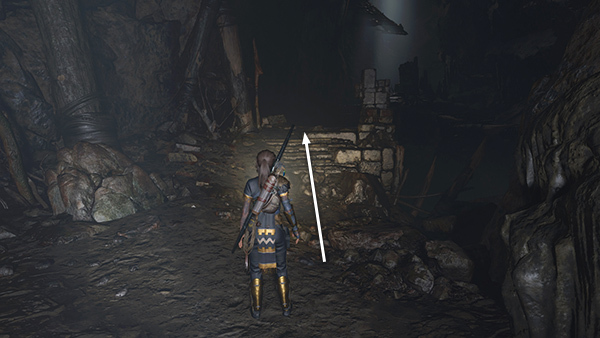 If you're playing the tomb as a stand-alone challenge, this is where you start. 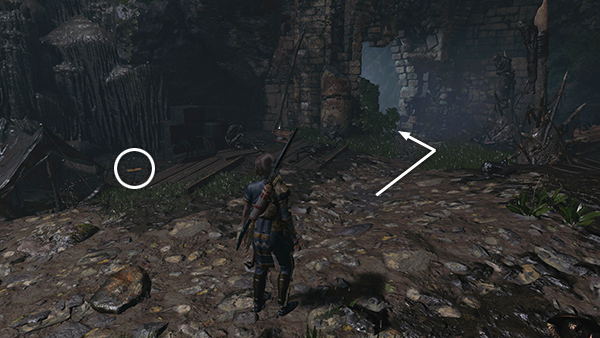 The walkthrough shows the basic puzzle mechanics. 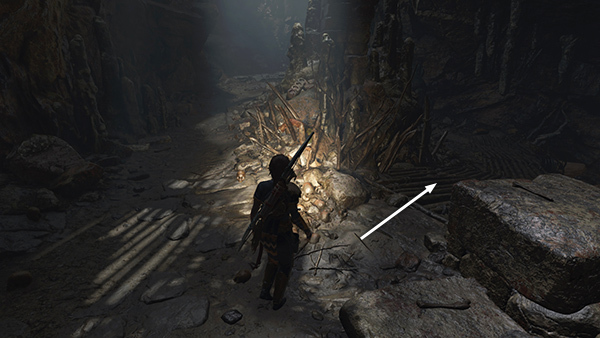 Unless you're playing the story mission, there are no major collectibles, though, so you can ignore all the notes on murals, documents, etc. 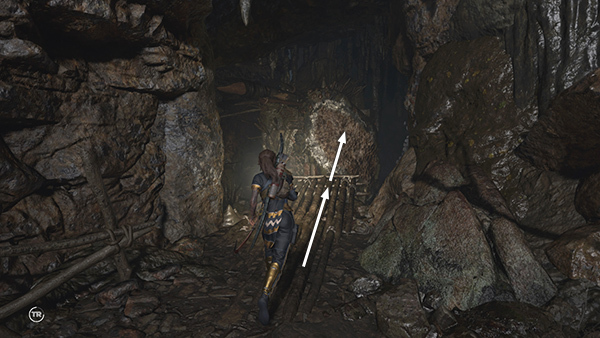 Follow the path up the steps and forward along the left side of the cavern, as shown above. 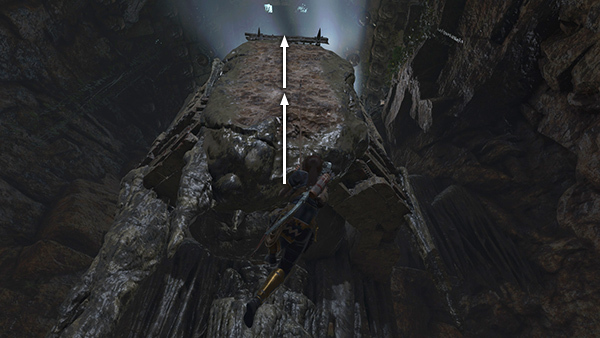 Jump across a small gap to grab the ledge ahead. Pull up and continue to a fork in the path. 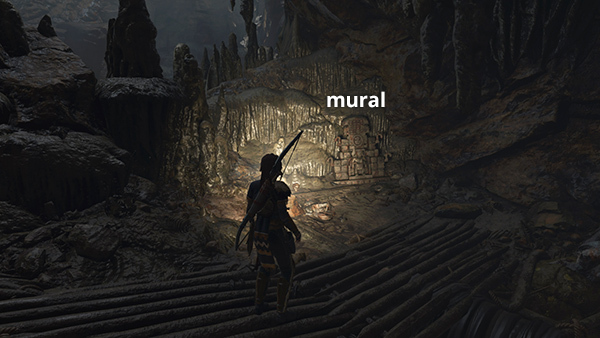 ...to find a mural (1/2), Pillars of Heaven (Mam/The Age Maker). Examine it. Then backtrack to the main path and continue westward. 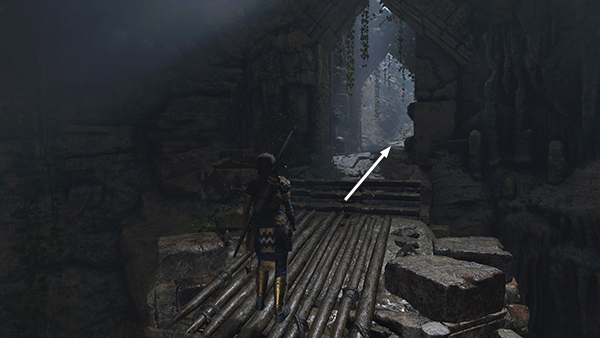 At the end of the path, scramble up onto the ledge below the wooden archway. 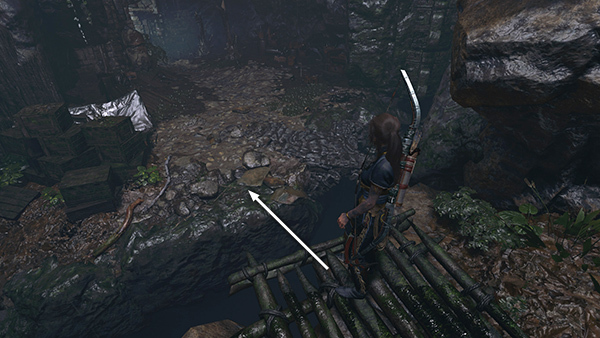 Proceed to a wooden ledge overlooking the chasm. 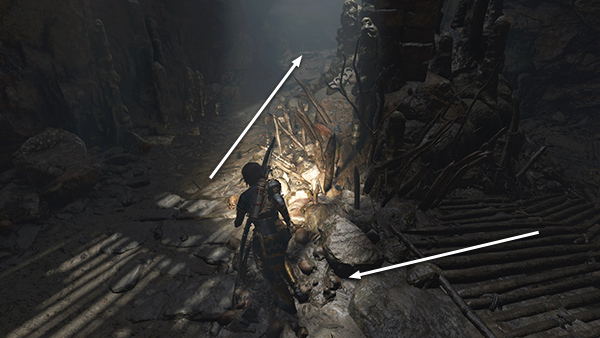 Jump out and grapple the climbable wall ahead. 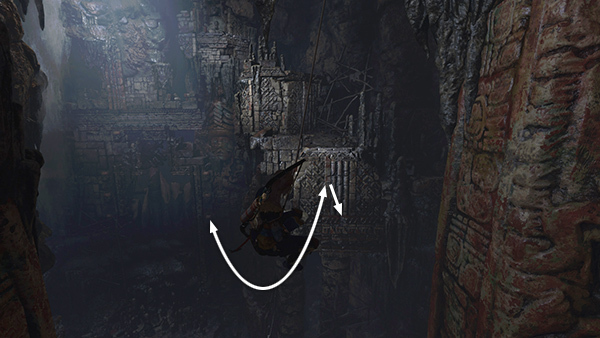 Climb down and around to the right. 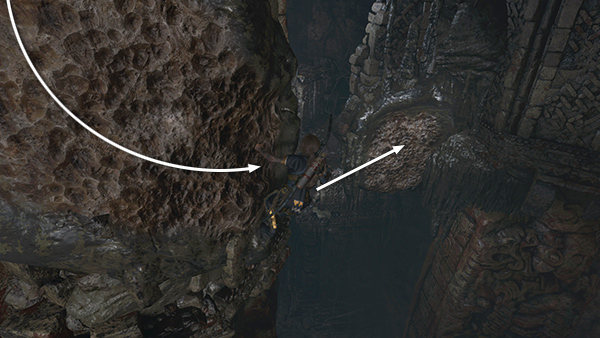 Then jump to the right and latch onto the next section of climbing wall on the far side of the chasm. Rappel down as far as you can. 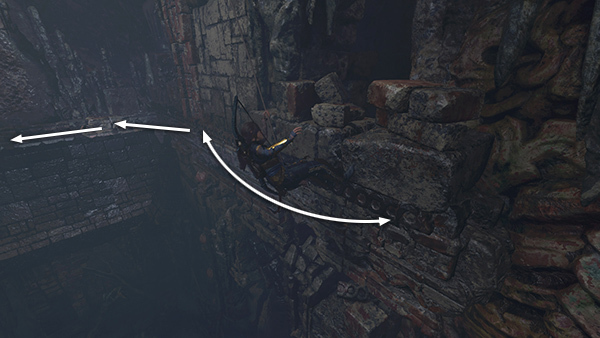 Swing back and forth to build momentum and then jump toward the ledge ahead. 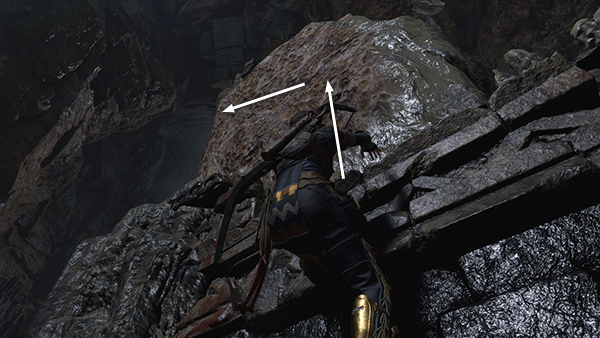 Lara will miss the top edge but should grab a handhold below. Scramble up onto the ledge. Climb onto the next ledge. Move out onto the jutting rock. 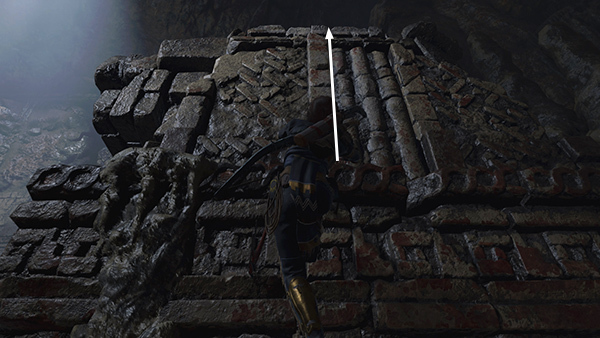 Then jump across the gap toward the manmade stone wall and immediately scramble up to grab the decorative carved stonework above. 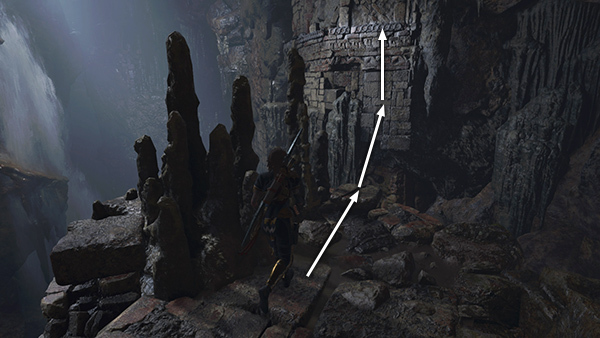 Climb along this handhold around the corner and on to the left as far as you can. 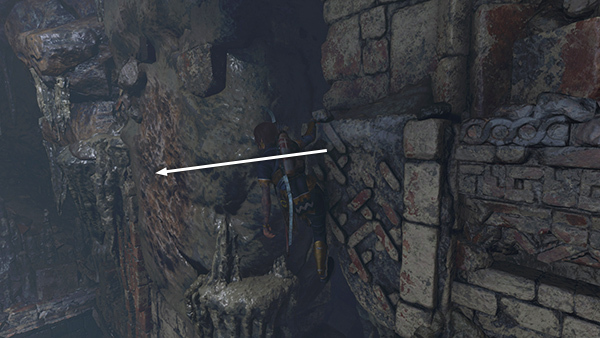 Then jump to the left and latch onto another climbable wall. Rappel down to the wall-running area below. ...until you can jump up to another rough climbing wall. 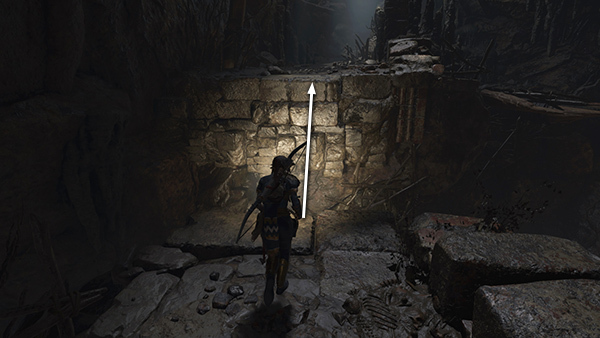 Climb up and around to the left until you can't go any farther. 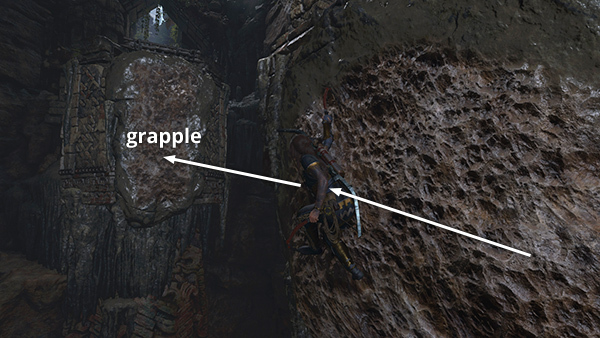 Then jump out and grapple the next craggy wall, below the ledge where you can see daylight ahead. 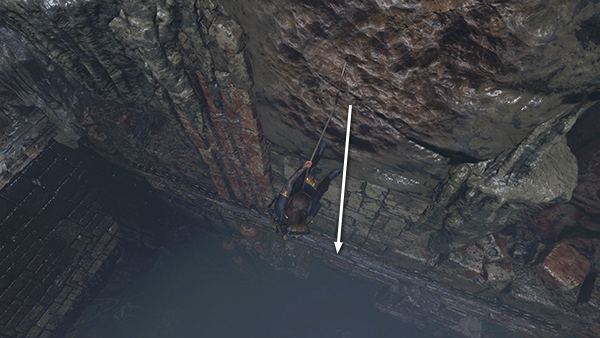 Climb the cable and continue climbing up onto the ledge. 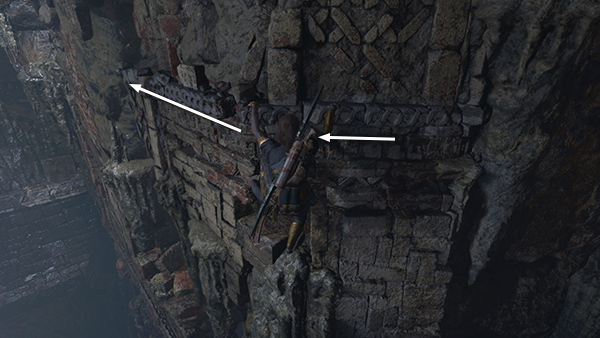 ...to another wooden ledge above a wide gap. 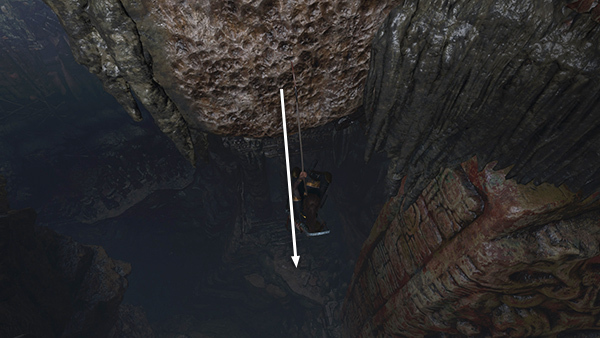 It's not too wide for Lara to jump, though, so leap down to the campsite below. 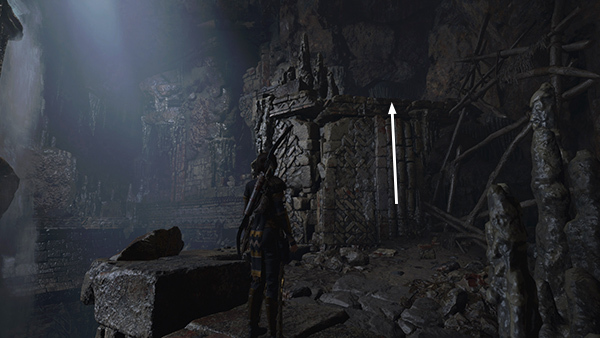 Unfortunately there's no usable base camp here, but you will find several salvage crates and a document (1/4), Prayer for the Loyal Dead (The Age Maker). 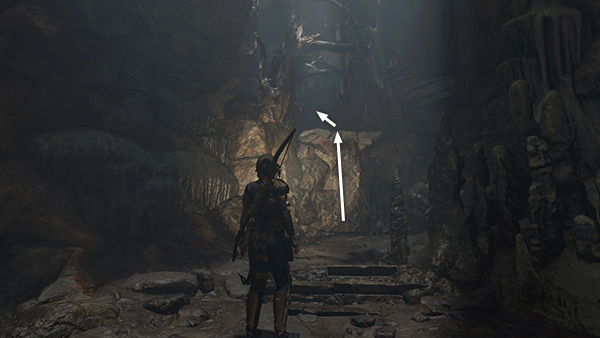 Collect everything then continue through the doorway to the south.